This post was sponsored by SoulCycle, who provided me with a complimentary class at their Houston studio. I was not monetarily compensated for writing this fitness post. All opinions are completely, 100% my own! It's pretty clear to anyone who reads this blog, or who has known me for even 30 seconds, that if there's a [safe] health craze that people are super jazzed about, I'm checking it out. When I lived in NYC, I started hearing a lot about SoulCycle, and what I heard was mostly that people absolutely loved it because of its high energy classes accompanied by motivating music. I never tried it though, so fast forward to now; SoulCycle opened it's first ever Texas location here in Houston a few weeks ago (!!!! ), and I decided to give it a shot. Located in Houston's Upper Kirby/River Oaks area, the stark, sleek, fitness studio contains full locker rooms, showers, and a room with 56 stationary bikes, fun lighting, and walls adorned with motivating health and fitness phrases. I was lucky enough to take a class that day led by Chanelle Lagace, who is the face of the new studio. This incredibly bubbly, welcoming, and energetic (I'm not kidding, I'd kill for the amount of energy she has in just her left pinky!) woman led a 45 minute heart-pumping class that was essentially a bumpin' dance party (she kept referring to it as "happy hour," which was entirely fitting). 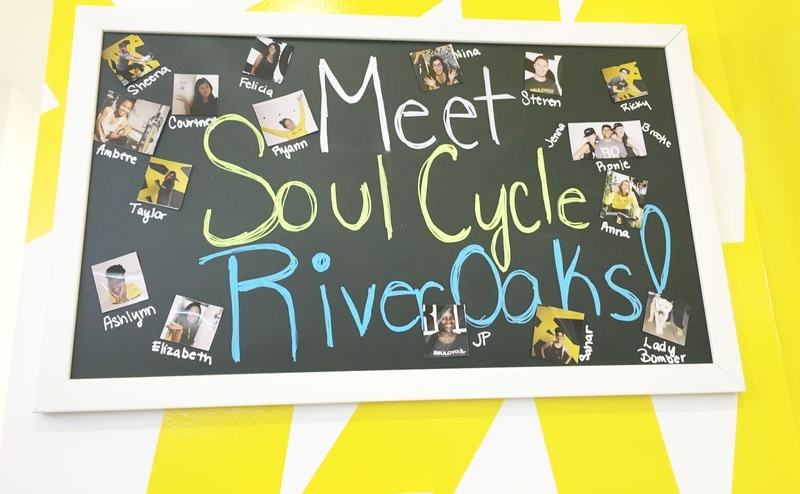 What was the reasoning behind placing Texas’s first SoulCycle in Houston? 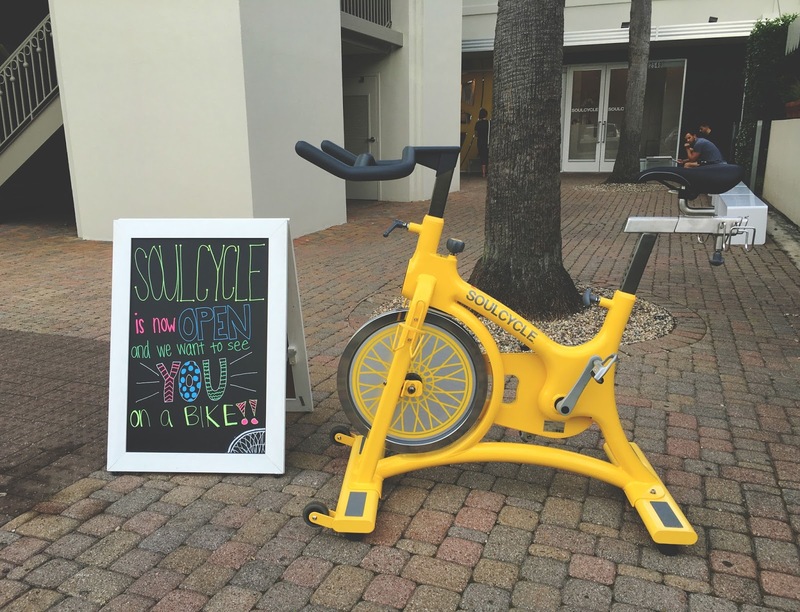 SoulCycle is always looking to open in active and vibrant communities like Houston. The energy is amazing, and we are so excited to finally be here! Keep an eye out for future Houston locations. 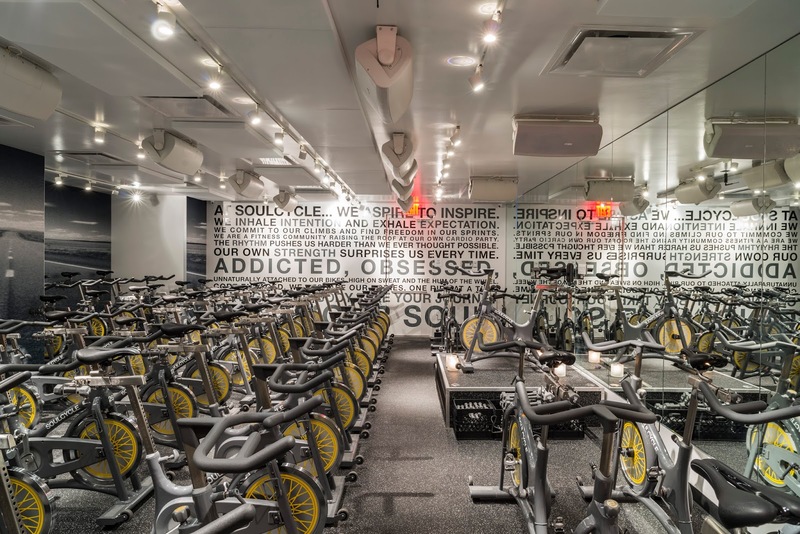 What do you feel sets SoulCycle apart from other fitness studios and workout regimens? SoulCycle makes exercise FUN. It’s about finding joy in movement. We ride to the beat of the music, in unison, as a group. The combination of inspirational instructors, epic spaces, rocking music, and dark candlelit rooms allows for a truly transformative experience. SoulCycle is a full body workout. Riders engage in high intensity cardio (burning between 500-700 calories in 45-minutes), while also toning their upper bodies using hand weights and core-engaging choreography. SoulCycle isn’t just a workout, it’s a total mind/body experience. In addition to the physical benefits, it also benefits the mind through mental and emotional release. Instructors deliver inspirational messages that leave you feeling stronger and more powerful after every ride. SoulCycle is a community. Our clients and staff rely on and support each other. It's much more than just a workout studio! What drew you, personally, to SoulCycle? The music. When I could hear the music blaring out of the studio in Bridgehampton, NY it was instant love. Not to mention the crowd of people who came out of the class dripping sweat all while smiling. From that day I knew I needed to be a part of the SoulCycle community. 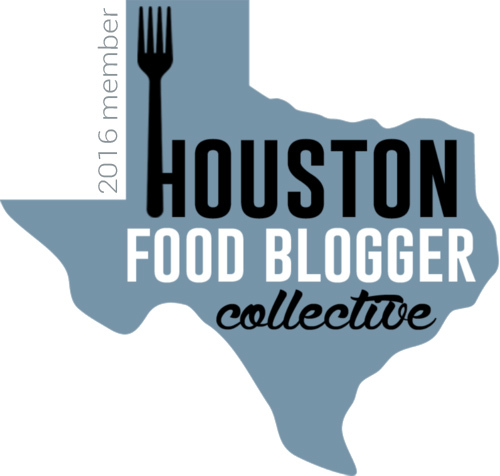 I know you’re new to Houston – What are some of your favorite things you’ve gotten to do/see/eat so far in town? There are so many things to do! So far, my husband and I enjoy taking our 10 month old baby girl to the park where she can crawl around and be inspired by all of the other kids running around. She loves it! I also love all the different shopping areas. I love to decorate, and Houston has such great home decorating stores. As for eating, in just a month I think I have eaten Mexican food for almost every meal. It's so much better in Texas than it is up North! What would be your biggest piece of advice to give to a SoulCycle beginner? Don’t be nervous or intimidated - you can take class at your own pace! And don’t beat yourself up if you can’t keep up with the pace or choreography on your first try – it takes practice! Our studio staff and instructors are incredible at making people feel comfortable and welcome. We will walk you through everything! So there you have it! Houston has such a fantastic variety of health and fitness studios, and SoulCycle is a great new addition to the scene. While it isn't necessarily an inexpensive fitness option, it may be worth you're while if it ignites you in the same way it does its countless enthusiasts. The positive, great workouts (and not to mention heart-thumping jams) are definitely a fantastic way to get physical!